Tonight, we pair two films where dolls are used to tell stories of trauma and the creative process. In Jeff Malmberg's documentary Marwencol, outsider artist Mark Hogancamp builds a miniature world to rehabilitate himself after suffering brain injury from an assault. In Superstar, Todd Haynes reinvents the celebrity biopic, dramatizing pop singer Karen Carpenter's brief and tragic life with Barbie dolls. After suffering a brutal assault, Mark Hogancamp emerges from a coma with little memory of his previous life. On his path to recovery, he turns to art, constructing a miniature WW2 era Belgian town in his own backyard. 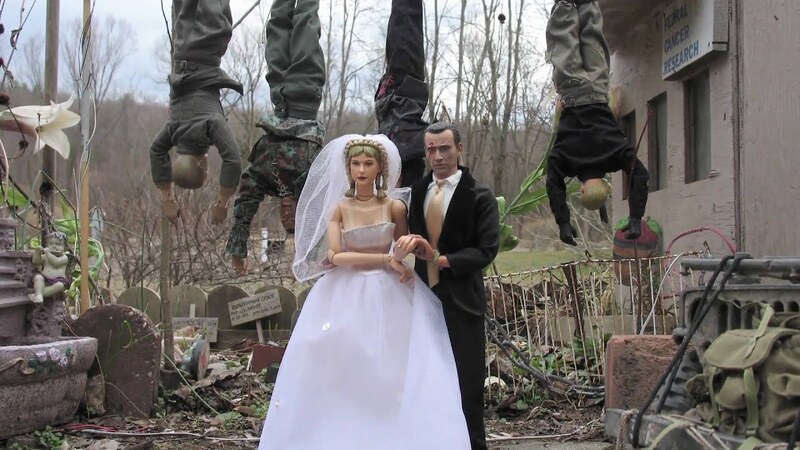 Hogancamp populates the fictional Marwencol with action figures and Barbie dolls representing real people in his life and weaves complex cinematic stories to work through his personal trauma. When Hogancamp’s strange, evocative photographs of Marwencol are discovered by the art world, he’s forced to confront his fears and rejoin public life. Jeff Malmberg’s fascinating documentary invites us inside Hogancamp’s weird and wonderful dollhouses, peeling back the layers of his eccentric personality while exploring the therapeutic power of art. Watch the trailer. Directed by Jeff Malmberg, 2010, USA, 83 min. In English. Todd Haynes (Safe, Carol) kicked off his career with this ingenious short film on the tragic life of 70s pop singer Karen Carpenter. This legendary experiment features no live actors and is dramatized entirely with Barbie dolls posed in miniature sets. Despite the literal “child’s play” of its format, Superstar dives into adult themes, exposing the dark side of fame and Carpenter’s lifelong struggle with eating disorders and a toxic family environment. Haynes punctuates key events in Carpenter’s life with inspired musical numbers, using the artifice of his experiment to uncanny effect. The film so enraged Richard Carpenter that he pursued Haynes for copyright infringement and had the film removed from circulation. Directed by Todd Haynes, 1987, USA, 43 minutes. In English.